In order to come up with innovative ideas, creativity is essential. 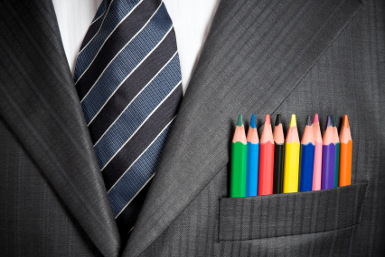 Therefore, companies should focus on stimulating creativity in your workplace. Recognizing that many organizations don’t know where to start when it comes to helping their team boost their creativity, we decided to provide a few tips. Albert Einstein once said: “ “To stimulate creativity, one must develop the childlike inclination for play.” Kids are naturally curious and open-minded, and definitely more creative than adults. They spend most of their time in imaginative worlds, and what other people think doesn’t matter to them. In her article on IdeasToGo, Susan Robertson explains “Kids don’t worry about whether they’re wrong. They bravely forge into new territory, willing to, and assuming they will, often be wrong. However, as we mature, we quickly learn that being wrong often has negative consequences. At school, we’re penalized for being wrong. At work, we’re penalized for being wrong. According to Sir Ken Robinson, an expert in creativity, “If you’re not prepared to be wrong, you’ll never come up with anything original.” Think like a kid by not over-thinking and being spontaneous at times. Ask as many questions as a kid would to learn new things and get new ideas. One of the things the Google office is famous for is their “playroom” – a room where employees can take a break from work and read, think or play pool. They are also known to give their employees personal time to work on whatever they want. The reason behind this? Taking a break and doing something fun and unrelated clears and relaxes the mind. When people are less stressed and don’t feel pressured, creativity is stimulated, and great ideas are more likely to be born. Interacting with other people in the workplace helps boost creativity. When people hold conversations in an informal way, it create an environment where knowledge can be shared freely, which enhances creative idea generation. Make it easier for your team to interact with each other by creating an “open office” concept with less closed doors. At Pixar, they found that casual conversations and random encounters at the company’s lounges and bars often lead to new and creative ideas. We want to know: How do you stimulate creativity in your workplace?